I had just finished Taleb’s latest book when Uttarakhand happened. And the phrase ‘unprecedented tragedy’ kept recurring like a bleak refrain. Nobody had been able to predict that the rainfall could be this heavy, the flooding this bad. Taro in Japan built a 34 ft sea wall the city called the Great Wall. It was swept away contemptuously by the 2011 tsunami. This capriciousness — whether of nature, humans, or man-made systems — lies at the core of Taleb’s book, as he passionately and provocatively argues for modern man to learn and use non-predictive decision making, which can be the only safeguard in a world where, and let me grasp at a cliché here, the only thing that’s certain is uncertainty. With the writer having made somewhat of a career in needling establishment gurus, the bankers, academics, economists and other suits, one might be tempted to dismiss the book as grandstanding from a favourite soapbox. But it’s an eminently readable argument for a theory that can be intimidatingly rooted in complex math but is also at its basics just a product of old-fashioned nous. Take, for instance, Taleb’s peeve with modern mollycoddling, which he says is producing a very fragile human being. Extreme hygiene, by destroying the body’s natural hormetic reactions, becomes vulnerable. We counter it by ingesting probiotics, the good ‘dirt’ that we denied the body in the first place. This is but one simple story. 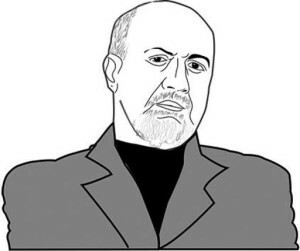 Taleb transposes it to politics, disaster management, urban planning, research, financial management and much more to propound his theory of antifragility. What he is saying is simple — we don’t need more and more complex graphs and grids that attempt to ‘predict’ what will come and thus build systems to face that supposed eventuality. The truth is we can never predict with any degree of accuracy a Black Swan event. It will always be sudden, random, huge, wildly destructive, and yes, totally unpredictable. Risk management pros look to the past, using the worst known war, recession or tsunami to build the next higher sea wall. They don’t realise that the worst event always exceeded the worst one before it. What we really need are systems that can regenerate by using such unpredictable shocks to their advantage. Not systems that can survive the shock to some extent but those that can actively use the shock to become stronger. In other words, ‘antifragile’ systems. Much like what nature does — breeding the next gen mosquito to fight repellents. Nature works because evolution is antifragile. The gene pool uses periodic shocks to become more fit. In the tsunami example, thus, it makes more sense to put money into training people in survival and rebuilding tactics than to build higher and higher walls. Taleb calls it learning to live in a world we must admit we don’t understand. He asks that we modify man-made systems so that they allow natural events to take their course, instead of smoothing out every little bump — Prozac for the smallest attack of the blues, warnings on coffee cups that tell you it might be hot enough to scald, hormone therapy for menopause. While the smoothening is done with the best of intent, it’s the classic soccer mom syndrome — the quest for a perfect, crisis-free world. Guess what, it doesn’t exist. Some discomfort makes us tough; removing every discomfort makes the species fragile. That’s where the heading of this piece comes from — in trading jargon, when someone holds a ‘long gamma’ position, any movement in price is good news. In other words, long gamma means that which benefits from volatility or the non-linear. Excessive planning and smoothening are attempts to force something that’s predominantly non-linear into an easy linear graph, a simplification that distorts dangerously. Taleb thus argues that depriving political and economic systems of natural volatility (non-linearity) — that is, making things artificially smooth — harms them more by leaving them unprepared when the biggie strikes. Take the turkey example. A turkey fattened for 1000 days imagines that life and the butcher love it. The turkey, its friends and family have absolutely no reason for 1000 days to doubt this. On the 1001 day, the Black Swan strikes. The most dangerous mistake the turkey made was to believe that the absence of evidence of harm meant the absence of harm. The writer argues that the 2007 financial crisis was caused to a large extent because Alan Greenspan and his ilk wanted to iron out the boom-bust cycle and allowed small risks to hide (and accumulate) under the carpet — till finally they blew the economy up. Allowing small risks to swallow up companies periodically lets the economy weed out vulnerable players early on. It isolates the financially undisciplined companies from the rest of the economy, rather than finally transferring the burden of indiscipline from corporation to state. What’s the solution? Taleb advocates the ‘barbell’ strategy — reduce extreme downsides from black swans. The upsides or positive black swans will take care of themselves. His tail risk hedging strategy is just this — telling investors how to be insured against extreme market movements. To simplify, a perfect barbell strategy for a flight would not be a crew that is uniformly cautiously optimistic. You actively want your pilots to be pessimistic like hell, while the flight attendants can be as cheery as they want. Taleb’s barbell for the economy would be to nationalise banks but let hedge funds go unregulated. When Fannie Mae’s secret risk reports landed on Taleb’s desk, it showed that the corporation’s risk exposure consisted of some moves that brought small profits but opposite moves that brought massive losses. It was clearly a powder keg. And it blew up. Formidably well read, Taleb segues from Seneca and Plato to Galbraith and Aquinas to Jewish and Islamic texts to make his point. Large corporations, big government, bankers, and politicians, they are all dismissed ruthlessly. As are copy editors, my own tribe. Taleb’s warnings about the imminent collapse of the banking system in The Black Swan invited much derision. Unfortunately, he was proven right. With that kind of hindsight, one is tempted to be in his corner on this one. And even if you disagree with some of his extreme positions, it’s such a darned good read you can’t put it down. How to Live in a World We Don’t Understand: Nassim Nicholas Taleb; Penguin Books India Pvt. Ltd., 11, Community Centre, Panchsheel Park, New Delhi-110017. Rs. 899.